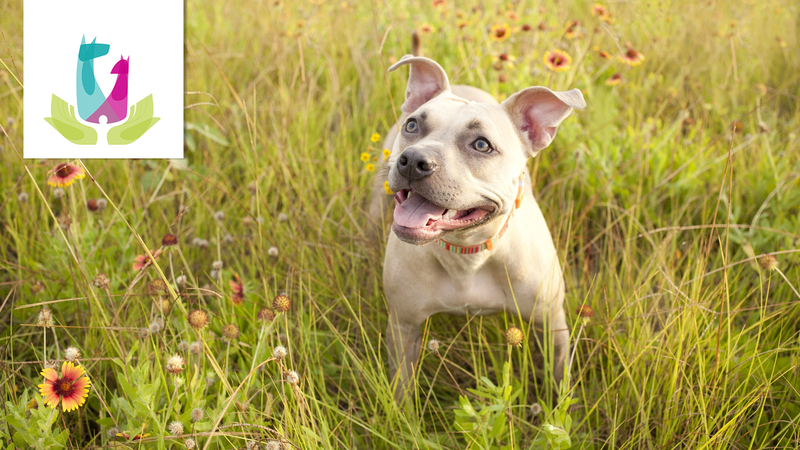 Improv comedy show to benefit Friends of Jacksonville Animals. 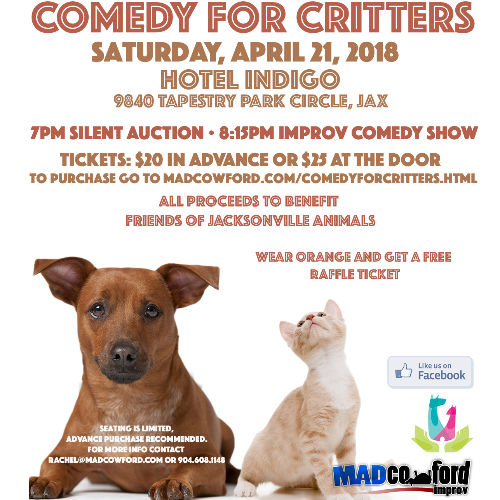 Laugh with the gang of Mad Cowford Improv Comedy as we raise money for the shelter animals of Jacksonville. Tickets on sale now. 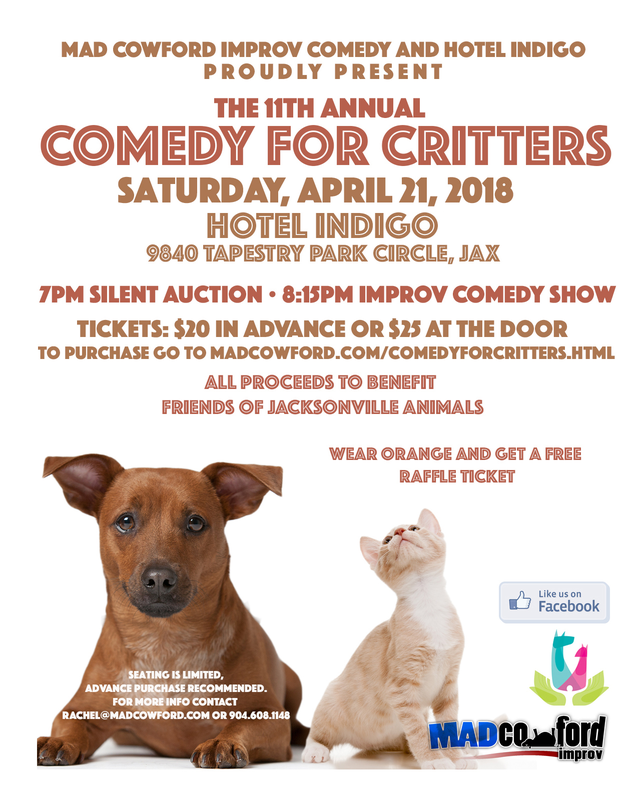 Jacksonville’s premier improvisational comedy troupe, will host a comedy show to benefit the Friends of Jacksonville Animals (FOJA) on Saturday, April 21, 2018 at Hotel Indigo at 9840 Tapestry Park Circle. A silent auction will be held at 7:00 p.m. and a raffle will be held after intermission. 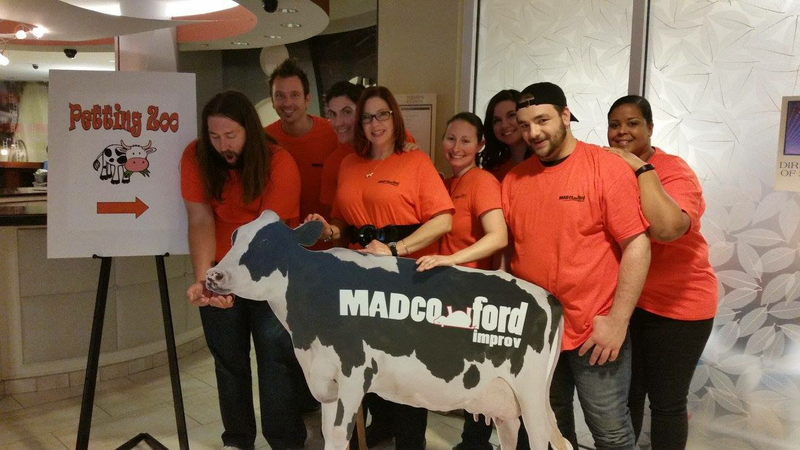 The live improv comedy show begins at 8:15 p.m.